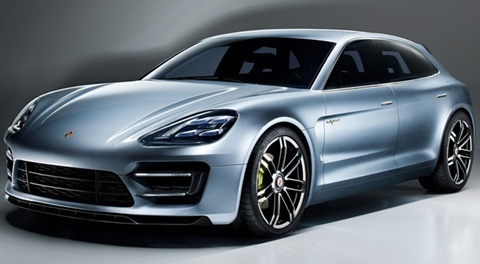 The 2012 Porsche Panamera Sport Turismo Concept is a car meant to show how remarkably an efficient and intelligent drive technology will look in the future. The 2012 Turismo unites the subsequent generation hybrid-drive with fresh ideas for a sporty and evolutionary body concept. 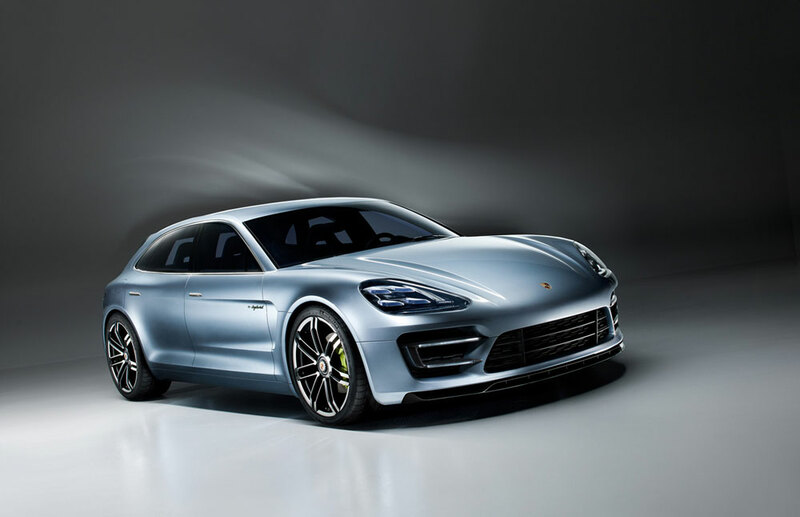 The concept combines complete daily practicality with Porsche performance. 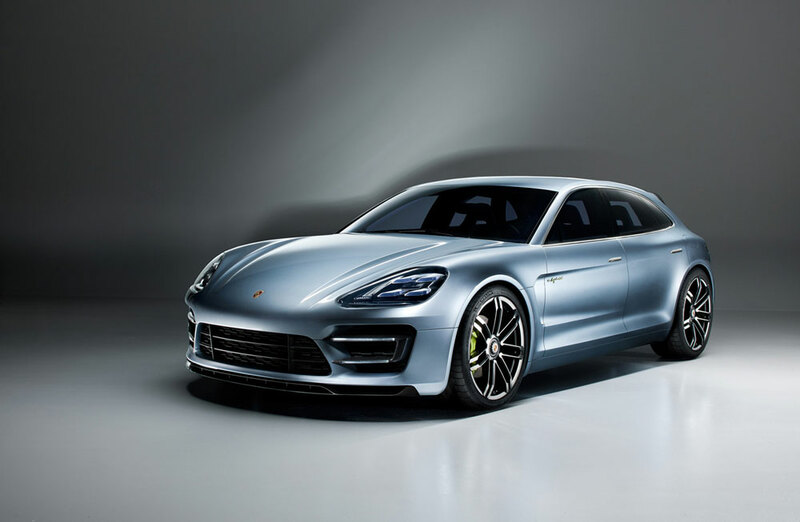 The 2012 Sport Turismo will use a plug-in hybrid engine, consisting of 95 hp lithium-ion battery having 9.4 kW-hr of energy storage capacity; and a 3.0L V6 engine that produces 333 hp. These two combine to make a total of 428 hp, allowing the Turismo to sprint from 0 to 62 mph in less than 6 seconds. The concept can run on pure electric mode that reaches a top speed of 80 mph and cover a distance of 18 miles. The Sport Turismo also boasts impressive fuel economy, with its combined fuel consumption. 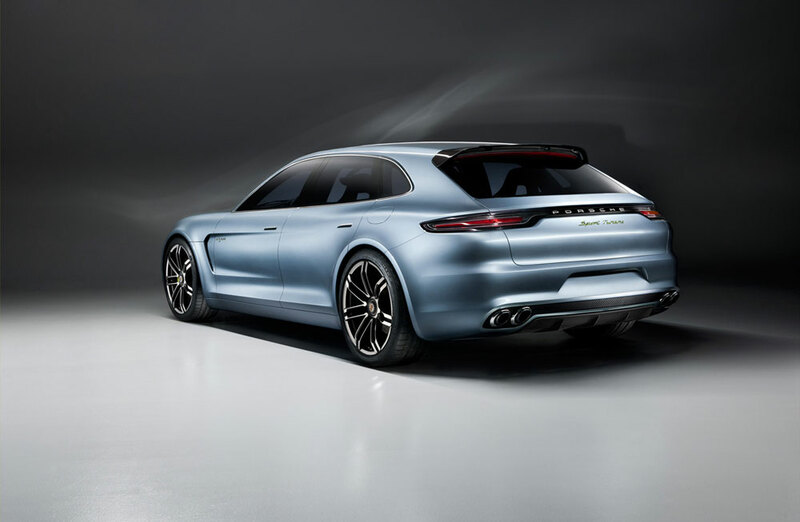 The Concept comes with a more pronounced hatchback body, while maintaining Porsche's shooting brake design. The concept lights its way using 4-point LED headlight and directional indicators, as well as sidelights that have been incorporated in a C-shaped lighting units (C-Blades). The front features large air inlets that have mounted LED lights, and large stylish louvers on the intakes. 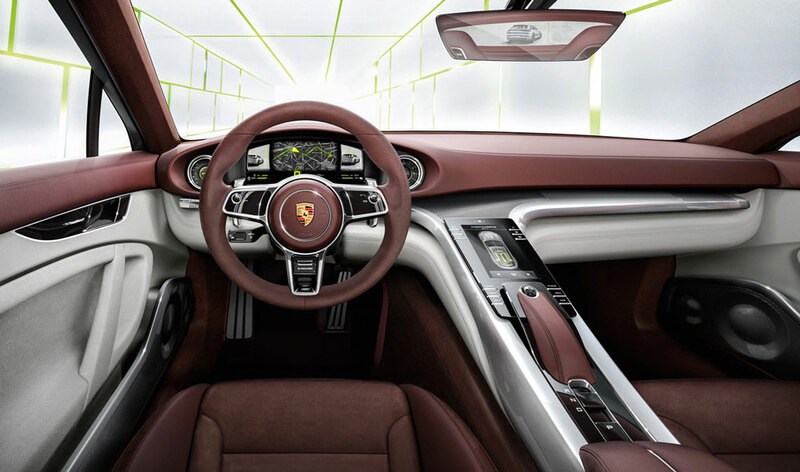 On the side, the traditional side-view mirror are replaced by 2 cameras mounted on the inside air outlets. At the rear you will notice the thin taillights which are connected by a taillight panel, as well as the 4-point LED rear lights. The Concept's exterior is painted in liquid metal blue color, which is complimented by bi-color dual-spoke wheels. The Turismo's silver and burgundy interior is appealing. A large central TFT color screen is placed in front of the driver, replacing the average instruments. The display provides the driver with information on navigation, driving data, layout of the hybrid system and the tachometer. Either side of the display is fitted with a monitor that displays the images from the cameras placed to the sides of the Concept. The 3-spoke steering column, wrapped in burgundy leather, comes with just a handful of buttons. The center console comes with a touch-sensitive color display used to start up the Concept as well as control the e-hybrid. 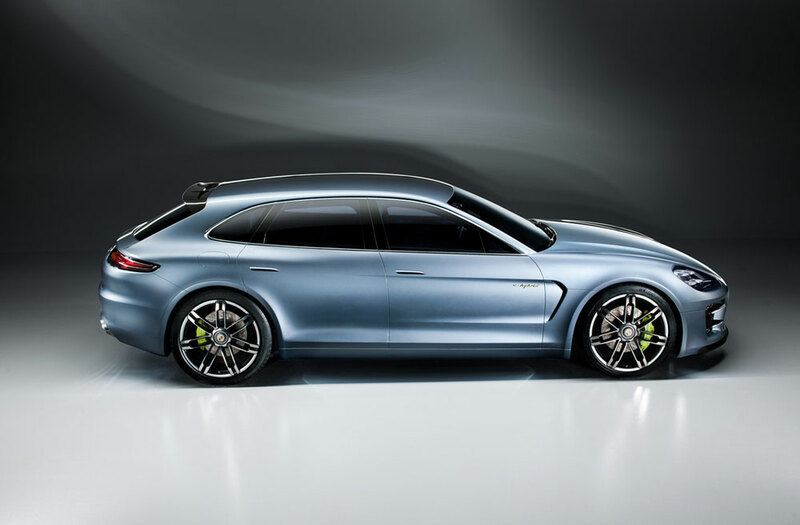 As enthusiasts wait for the debut of the 2012 Porsche Panamera Sport Turismo Concept, it can only be concluded that this car will be very attractive. The main competition will come from Mercedes-Benz CLS Shooting Brake.